The search for the world’s most desirable man is back! This year, 50 men from across the globe will gather in Southport, England to participate in the biennial Mr World competition. 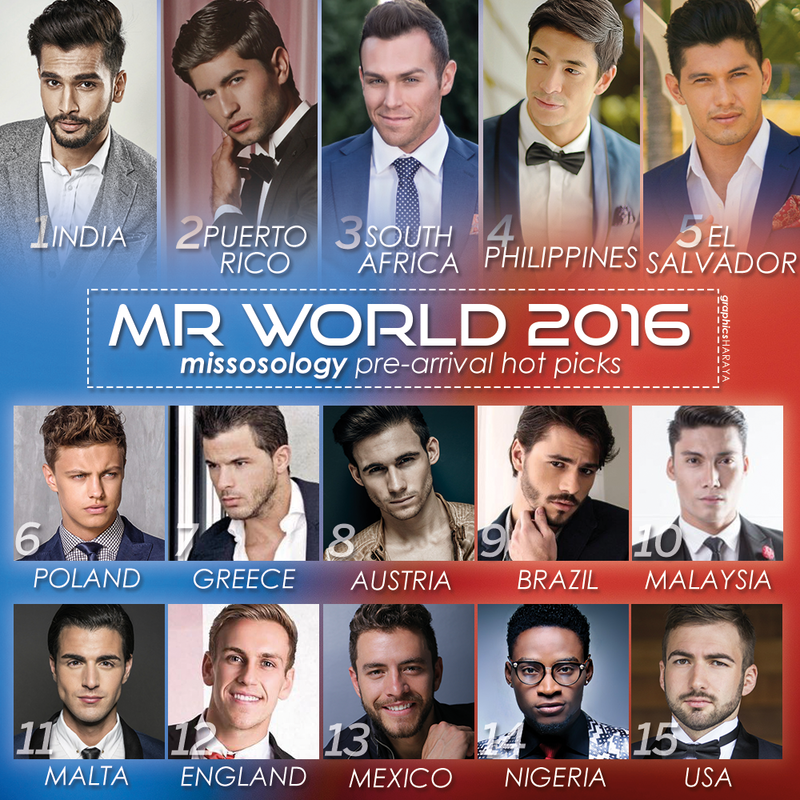 Who will be the rightful successor of Nicklas Pedersen, Mr World 2014 from Denmark? Here’s our pre-arrival choices. Leading our list at this point is the articulate and confident Rohit Khandelwal from India. This 26-year-olf actor and TV personality from Hyderabad seems very prepared for Mr World. He actively updating his social media accounts and has been participating in various charitable events as part of his duties as Mr India. In second place is a familiar face in the male pageant scene, Mr Puerto Rico, Fernando Alvarez. 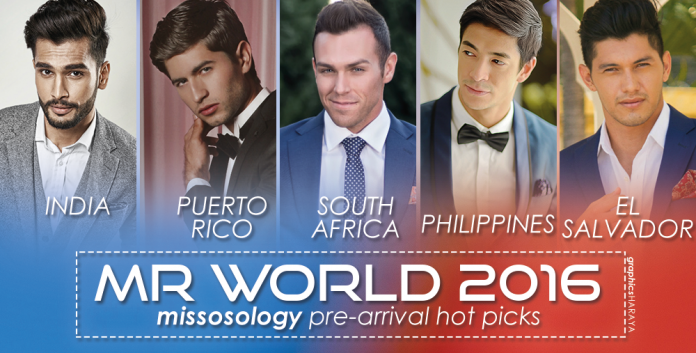 After his Top 10 finish in Mister International 2015, Fernando is set to conquer the “World”. This 21-year-old professional model and accounting student won’t have a hard time standing out with his good physique, competitive spirit and attractive eyes. Mr South Africa, Armad Du Plessis comes in third on our initial list. This 27-year-old candidate attorney has undergone a lot of training for this pageant, including CrossFit, swimming and dancing. However, it seems he will be a tough contender for the Multimedia challenge given his huge following on social media. One of the much anticipated candidates is Sam Ajdani from the Philippines. He has been waiting for this moment for two years now and it seems Sam is ready fight for the country’s first Mr World title. This 26-year-old model and fitness coach surely won’t go unnoticed. Rounding up our Top 5 for now is Mr El Salvador, David Arias. This 28-year-old English teacher hopes to share his passion to the rest of the world. He is also a dancer!